Students with wanderlust want to see the world—not just one country. SDSU partners with CIEE, an international study abroad organization that offers more than 200 programs that include travel, study and internships in more than one location. Multisite programs promote student engagement in many cultures to explore diverse worldviews. Here's what makes it worth your while. Multisite programs provide students education through a cross-cultural perspective as they learn in and out of the classroom and in different cities. Each location offers unique lifestyles, customs and sightseeing to amplify the sensory experiences of travel abroad. 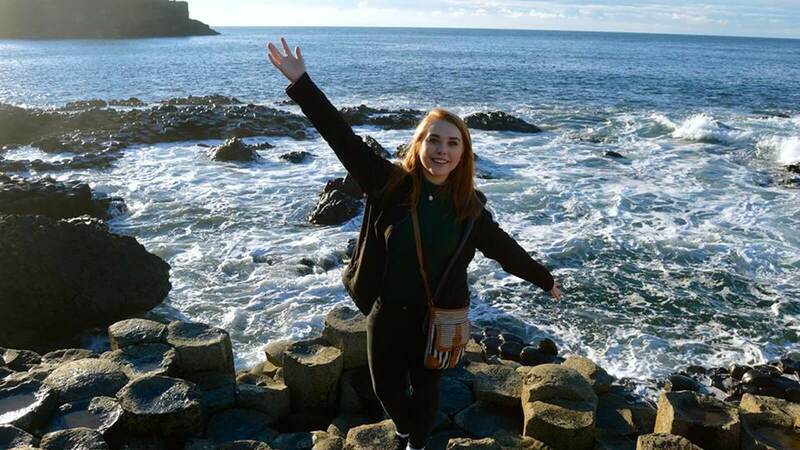 In addition to a few extra stamps in their passports, multisite study abroad students make more international friends and feel more independent and empowered by learning to navigate global travel and have deeper intercultural understanding. “The multisite facet of this program resulted in an intellectually stimulating experience that made every moment feel exciting and challenged my ability to think on my feet. It certainly improved my ability to quickly adapt! I was almost always talking with people, asking questions, navigating different areas of the city and reflecting on cross-cultural comparisons." CIEE offers programs across a breadth of disciplines, including architecture, communication, public health, environment and sustainability, engineering, social sciences, intercultural learning, business and international development. These courses enrich knowledge in your field of study or provide an opportunity to study subjects you want to learn more about. The learning that takes place abroad includes college credits that can help fulfill general electives or discipline-specific requirements on your transcript. Multisite programs are an impactful way to see more of the world for less cost. CIEE offers need-based grants and merit scholarships to improve affordability. Prices vary based upon the program and location selected and term length. Avoid creating a new routine, and study in two or three cities.